I was delighted to read that over 100,000 people have signed a petition against the badger cull, which means the issue could now be debated in Parliament. The e-petition was launched last week by the Queen guitarist, Brian May, as part of the Team Badger campaign, after the first licence to kill the protected wild animal was issued for a pilot cull in Gloucestershire. There is widespread anger over the Government’s decision to push ahead with the cull, which campaigners say will be of little use in reducing bovine TB, and could even make it worse in some areas. Supporters of the cull claim the move is necessary in order to tackle TB in cattle because badgers spread the disease to livestock. 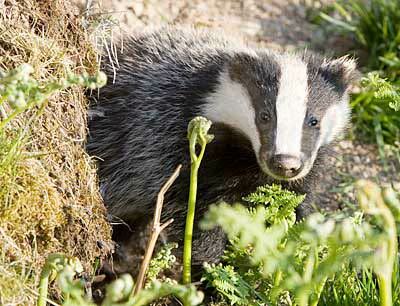 But Team Badger is angry that over 70% of the badger population will be killed in large areas of the country and is calling on the Government to implement a vaccination programme, along with improved testing. Shropshire Wildlife Trust is leading the way. They have started vaccinating badgers against TB and hope their five-year scheme will show that vaccination is a more effective and humane way of controlling bovine TB. This entry was posted in Nature, Wildlife and tagged animal welfare, badgers, Brian May, campaign, conservation, countryside, Environment, Parliament, petitions. Bookmark the permalink. Thanks for mentioning my blog on your “Posts I Like” list! So kind of you! Sorry to learn of the plight of the badgers. From time to time we humans come up against these issues with animals whose worlds we’ve overrun. I hope it can be resolved with good outcome for all.